The kitchen, often considered the heart of the family home, has become a natural gathering place for eating, studying, entertaining and spending quality time together. With so much time spent in one area, you want it to be warm, inviting, and something you enjoy putting on display. You want your kitchen to not only have the functionality you need and desire, but also the style that best represents your family. Desirable Kitchens & Refacing in Pittsburgh, PA, works with you to find the most cost-effective and time-efficient way to upgrade your kitchen to the fabulous showpiece you always dreamed it could be. From cabinets to countertops to flooring, you choose what works best for you within your budget. Kitchen remodeling does not always translate into months of disrupted family meals and hours, even days, of cleanup. At Desirable Kitchens & Refacing, we guide you through the many options that are available today. In addition to custom cabinets and countertops, our dedicated team at Desirable Kitchens & Refacing specializes in cabinet refacing. Cabinet refacing is a quick and simple process when hiring experienced professionals. 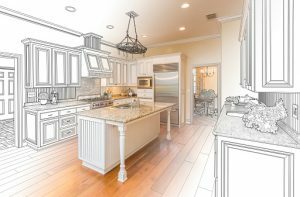 Typically, refacing projects are completed in 3-5 days and you are still able to utilize your kitchen. Through our experience and dedication to customer satisfaction, we have the right solution for every customer—every time!